Amazon SageMaker is a fully-managed service that enables developers and data scientists to quickly and easily build, train, and deploy machine learning models at any scale. Amazon SageMaker removes all the barriers that typically slow down developers who want to use machine learning. I love this platform is so simple because it allows me as a developer to create data in a simple way I do not have to work in a tedious way implementing algorithms because it gives me everything is so simple it saves me many hours of work because with it I can implement up to my own framework I work without any problem, I can also have notebooks and connect directly in S3 . "Easy to train and deploy the Machine Learning model"
I have worked with DeepLens by AWS for various face recognition application. It's very easy to use and configure. You don't need your own NVIDIA machine to train the model. If you have more data and need a powerful machine to train. Just upgrade your cloud and start training. We are trying to solve the problem of Student paying attention in the class or not and if not what are the reasons behind that. If we are able to solve the problem, we can increase student's interest in the subject which directly helps student in his career and life. What AI Platforms solution do you use? "ML/AI with AWS Sage Maker"
- Since is "new" you won't find too much on the Internet about it. At this stage we are testing it with a parking rotation inside our business offices, is more than a Proof of Concept kind of app, that have help me to fully understand the concepts and the utility of this tool. If you are planning to star dig in the Machine Learning and Artificial intelligence world this might be the best way to start. You will need obviously understand how to code but if you are familiar with Python that will be enough. "My experience has been good with this software. " It has enough room for experienced people as well as for those who just need things done without going much deeper into building models. It provides easy and efficient customization which easy to alter and change. If one is already using Amazon, then there is no need to transition. There are a lot of examples available to work with. The algorithms are there and they can be implemented with ease but the user needs better description as to where they are located so that they can find them more easily. There should be some options which make this mobile friendly. Since it is a new software, there isn't much documentation out for this software. It helps me to understand how different learning frameworks wok and helps me in better implementation of my learning algorithms. "Remove the barries to machine learning"
it has a lot of tools to help with training, and deploying ML models. They manage all the training techniques and the tunning of the models. So you can focus on getting something in production faster. They support many different algorithms and there is always the option to use a personal preference using docker. Not much information about it online and the prices can prevent developers from using it. If you are a company think on how much are you expecting of making after using this technology. It can become expensive quickly unless you know what you are doing. This is pretty much new for us. So it is basically testing and checking the things that can be done using this technology. "best one if you are in the eco system"
I love AWS services and this one is no different. We are very much in the AWS world so deploying models using Sagemaker is seamless. The ease of building and training models is definitely a plus. Lack of huge library of trained models like tensor flow yet but I am sure it will get there. We using it to deploy models in the data pipeline for data predictions. It offers simple and effective personalization which simple to modify and alter. It integrates all the very best pieces of numerous programs in a user interface that is easy to use. There ought to be some choices making this mobile friendly. For novices who want to utilize this platform the only drawback is that it needs high payments. Amazon SageMaker provides me much easier access to other recognized knowing structures. Not much to dislike other than the fact that AWS lacked the region that is closer to me. It solves the need for in house training as all the computation can be done online. "Open source AWS that is clean and accessible"
It incorporates all of the best pieces of multiple programs in an interface that is user friendly. It includes examples and walkthroughs on how to use the different features so you can learn through usage. Instead of needing to log in through multiple cloud storage programs downloading applications throughout our system, we are able to access the entirety of the information and functions that we need to work as a company. "Wonderful world of Amazon SageMaker"
Incredibly efficient program. From project conception to construction documents, sagemaker streamlines the process. Many features save days if not weeks of time. At times sagemaker can be overly formulaic. This shackles creativity to some degree. The interface can at times be anything but intuitive, which leads to a long and arduous learning curve. At the moment, sagemaker is the best product out there for comprehensive design, consultant collaboration, and production. "Visit the site weekly and helps fulfill my clients requests"
Sometimes it breaks down and we need to open a case with Tech Support. * We monitor all Amazon SageMaker reviews to prevent fraudulent reviews and keep review quality high. We do not post reviews by company employees or direct competitors. Validated reviews require the user to submit a screenshot of the product containing their user ID, in order to verify a user is an actual user of the product. Hi there! 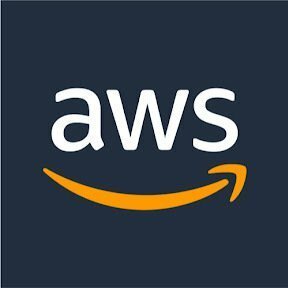 Are you looking to implement a solution like Amazon SageMaker?